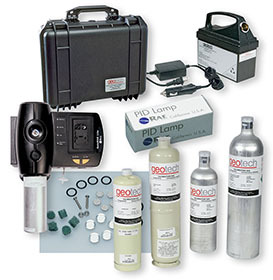 Geotech has an extensive inventory of equipment and consumable supplies that are used in support of sampling, measurement and remediation activities. Support equipment that is required for the use of the primary equipment such as suppling power is a prime example. Honda EU Series Super Quiet Generators represent the leading edge of portable power technology. Producing 2000 watts of power, the EU2000i Super Quiet Generator is ideal for a variety of applications. Fast, automatic leveling. Automatic shut-off when the laser has been moved or bumped. Optimally focused beam provides long range operation. Tripod is included, laser is packaged to go right to work out of the box. 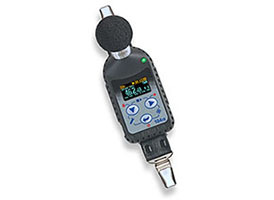 The SV 104IS is the intrinsically safe version of the revolutionary SV 104 personal noise dosimeter and has many of the same features. Both instruments offer a new approach to occupational health and safety noise monitoring presenting features such as 1/1 octave band real-time analysis and audio events recording functions; a new feature in an instrument of this size. All results are clearly displayed on the amazing OLED screen which offers excellent visibility even in full daylight or darkness.